The last chicken is a Blue Cochin. Cochins were made famous in the 1800s when this Chinese breed was given as a gift to Queen Victoria of England. 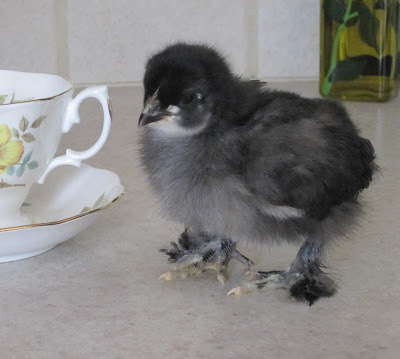 Cochins are big fluff balls of feathers! 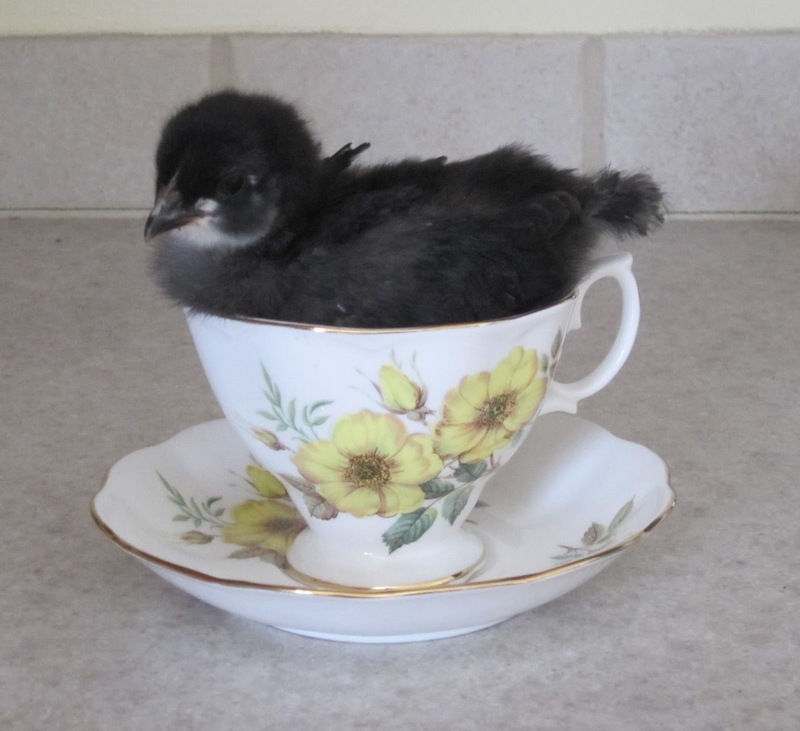 They are said to be one of the friendliest chicken breeds. They lay around 120 dark brown eggs. They have a single comb and feathered feet. 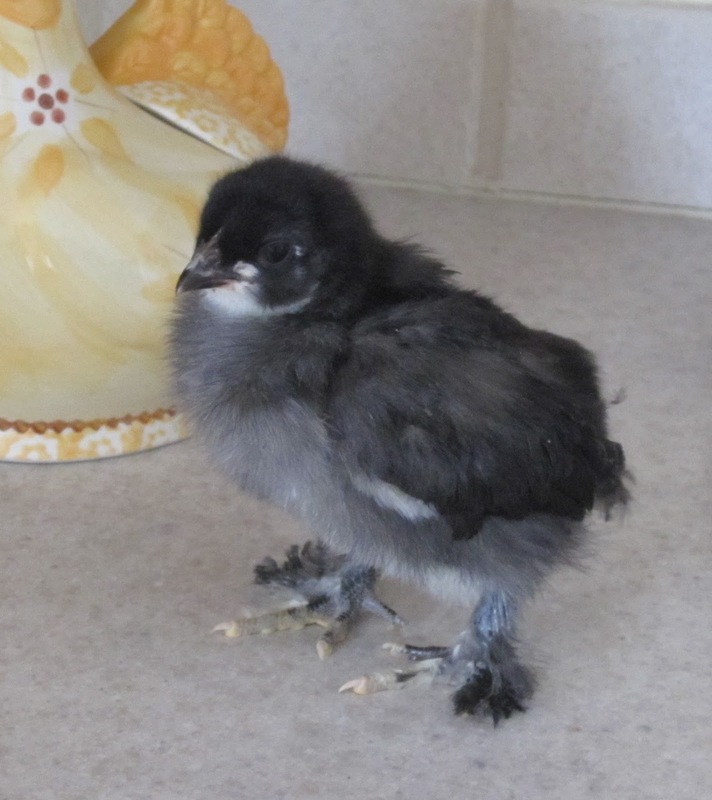 The color blue does not hatch true in chickens. Blue is a diluting gene for black. 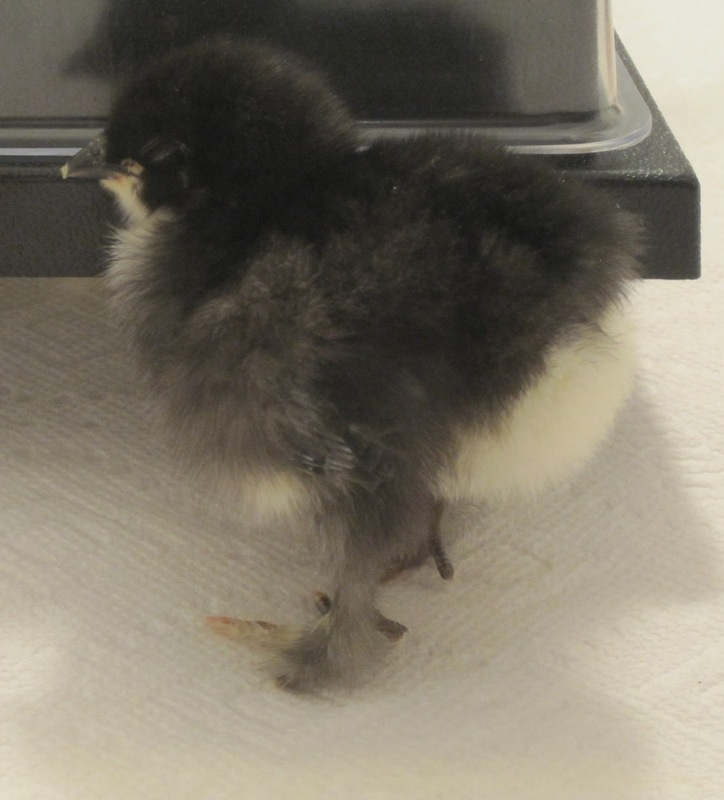 So 50% of the blue Cochins will hatch blue, and 25% will be black. The last 25% will be "splash," having received two diluting genes. So I won't know for sure if she is blue, black or splash until she grows. 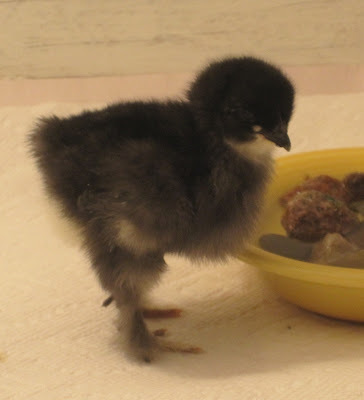 Her feathers are starting to come in, they look black to me, but who am I to say. This is my first time so we will just have to wait and see. If she does feather out a true blue, she will look like this. If not she will look like this but all black! So I didn't want to name her anything to do with "blue" just in case. So no Blue Bell. What about Cochina? Nah. What do you think would be a good name?